The 35% off Spring Sale is here. From May 1st to May 14th. This will be the last 35% off. Don't miss out on this opportunity! In recent years, the prices of raw materials and other production costs for Chinese herbal medicines have continued to rise. BEMA has been trying to absorb these growing costs. But the increases in the price of raw materials have become too high. BEMA is committed to providing scientific, concentrated, safe and high-quality TCM granules. In order to maintain this quality, it will be necessary to adjust the prices of the TCM granules starting July 1, 2018. Once again, we wish to thank you all for your continuous support. 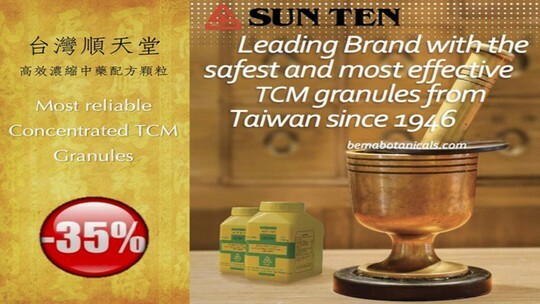 BEMA will continue to maintain the highest principles of rigorous attitude and adherence to high quality, safety and security, and continue to provide good quality, safe and reliable TCM granules. The 2018 May Super Save Sale is here!